Storage Containers come in both 20 and 40 foot sizes. Among other uses, these are great for storing equipment on job sites. Our containers come with locks to keep your equipment or supplies safe while you are not on the job site. We have high security locks for making sure your storage is safe. 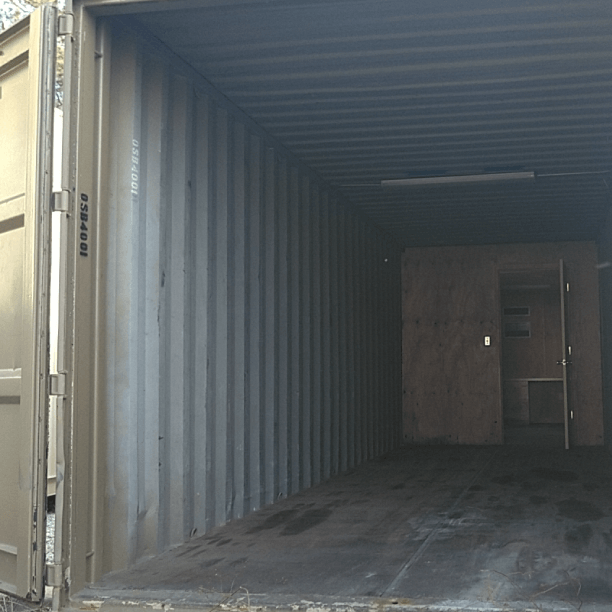 40 foot container exterior dimensions are approximately 40″ long, 8′ wide, and 8’6 tall. Interior dimensions are 39’5.7″ long, 7’8.6″ wide, and 7’9.9″ tall. Door aperture is 7’8.1 wide and 7’5.8″ tall. 40 foot high cube containers are approximately 8′ wide, 40′ long, and 9’6 tall. Interior dimensions are 39’4″ long, 7’7″ wide, and 8’9″ tall. Door aperture is 7’6″ wide and 8’5″ tall. 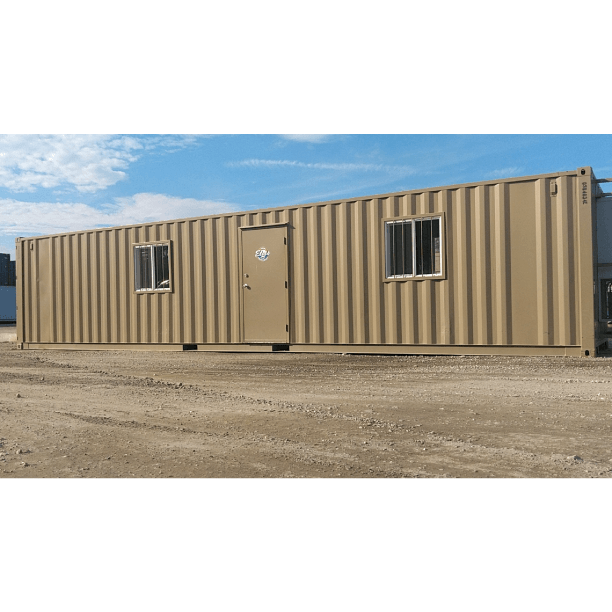 20 foot containers exterior dimensions are approximately 19’10.5″ long, 8′ wide, and 8’6 tall. Interior dimensions are 19’3″ long, 7’8.6″ wide, 7’9.9″ tall. Door aperture is 7’8.1″ wide and 7’5.8″ tall. These intermodal containers are perfect for storing, warehousing, or shipping your equipment or merchandise. Our trailers will store your warehoused goods safe and dry at your loading dock. If you are moving and need portable storage pods, we can help. 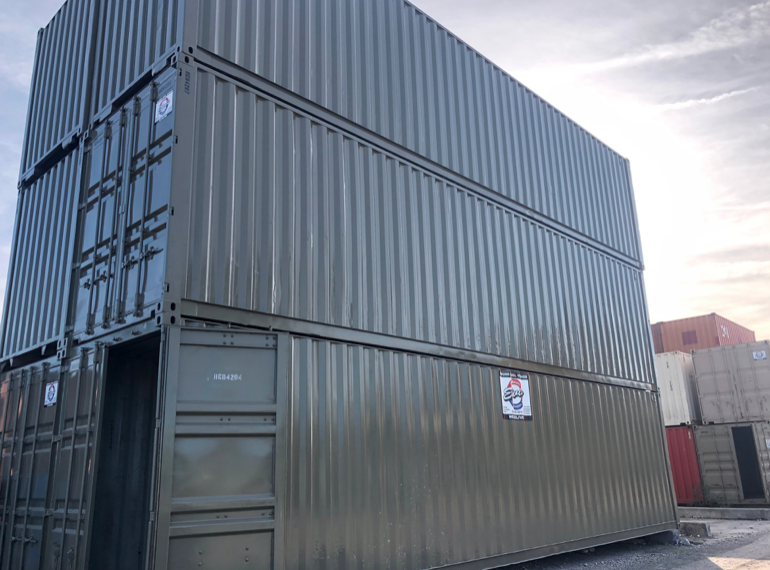 Our twenty foot shipping containers are about 160 square feet of storage and our forty foot containers are about 320 square feet of storage. If you need extra height, please make sure to check out our high cube shipping containers. This will give you one extra foot of clearance. We rent and sell our storage containers, shipping boxes, and freight trailers. Elvis can deliver the right size pod directly to your job site or to your retail store for storage. This is truly mobile and reliable on site storage. 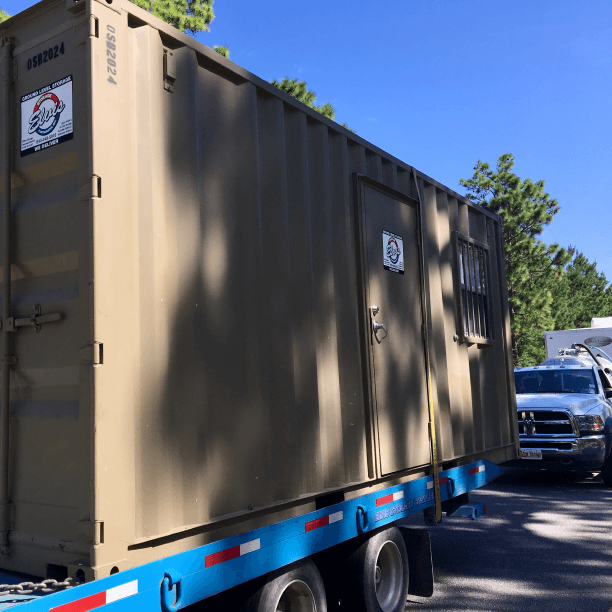 We deliver shipping containers for rent out of our Myrtle Beach, SC office. We deliver these container boxes to Charleston, SC – Florence, SC – Fayetteville, NC – Wilmington, NC. Our territory includes all areas within the eastern part of SC and NC. We are typically able to deliver our portable containers within a few days of delivery. If you have an emergency, we can provide portable storage promptly.